Rockland Harbor Haven offers a comfortable space for those looking to explore the city of Rockland and the surrounding towns. This spacious townhome is an a great location and jumping off point for Midcoast Maine. 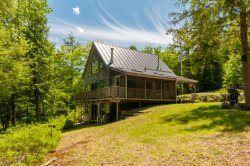 Just a few hundred feet from the Rockland Public Landing, this property is perfect for those coming to experience the North Atlantic Blues Festival or the Lobster Festival held in July and August. Restaurants, art galleries, and shops are also just steps away. A sandy beach on Rockland Harbor is located 300 yards from the property. Boats Available? : Sorry, boat rentals are not offered at this property as it has no direct water access or place to store them.